Conservation Easement Monitoring – Do you or your family like scavenger hunts? Looking for an excuse to get outside? Do you like to explore? Do you like hiking off‐trail? Do you enjoy visiting beautiful places close to home? SLCS has been preserving and permanently protecting the Squam watershed since 1960 and monitoring conserved land is at the heart of our stewardship commitment. At the present time, we own or hold conservation easements on over 140 properties encompassing over 8,000 acres and 19 miles of shore frontage. It is our responsibility to review these properties at least once per year to ensure that the conservation promises we made are being upheld. As SLCS adds more properties to conservation lands portfolio, our stewardship responsibilities and our need for volunteers to monitor these properties also grows. The level of difficulty in “monitoring” each property ranges from very easy to rigorous. Volunteer monitors can stipulate the types and numbers of properties they would like to monitor, and it can done on your schedule. 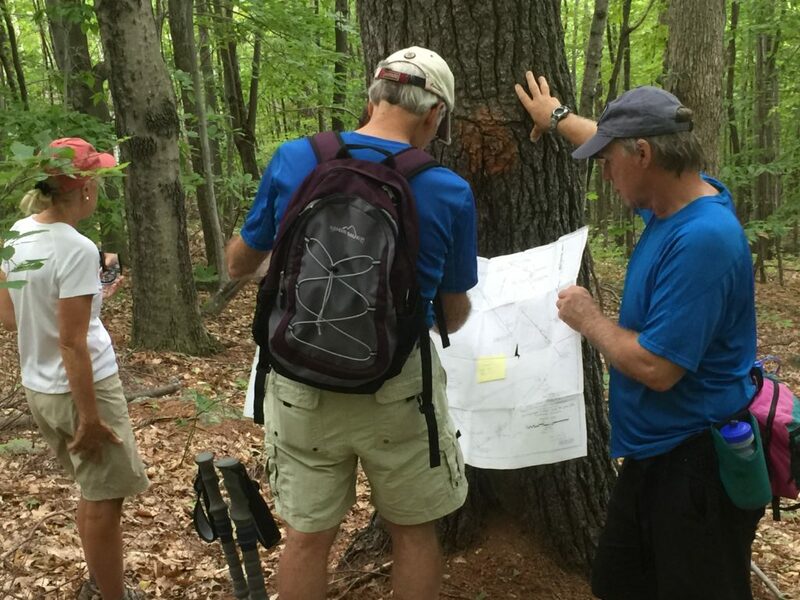 Typically, teams of one, two, three or four volunteers meet at the property and set out on a morning or afternoon expedition, walking the property and locating boundaries, trails, cellar holes, etc. SLCS will provide you all the training, tools, and information you’ll need! It is a fun activity that is suitable for the whole family. Frequently, our volunteers will perform other duties related to land stewardship, including trail maintenance, pulling invasive plant species, picking up roadside trash, weed-whacking up at Doublehead Preserve, and helping the stewardship staff with a variety of projects. During the summer of 2019, we will again focus our efforts on removing invasive bittersweet, honeysuckle, and multiflora rose, etc. at Mill Brook Preserve every Wednesday morning.